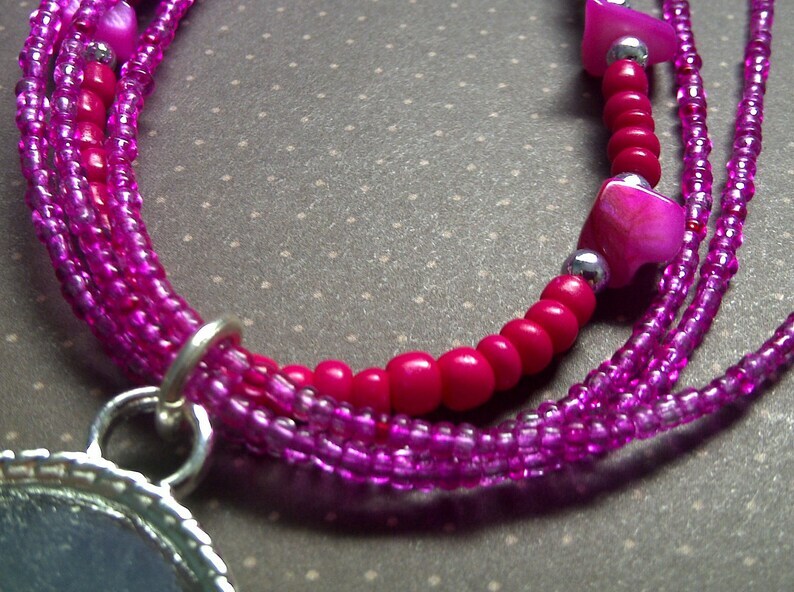 This necklace is fun and exciting in a mix of pink and purple tones of fuchsia!!! It's bright palette is sure to bring a smile to your face every time you put it on. This necklace also include a silver tone photo pendant, 25mm, just email your photo to info [!at] jyoulry.com after your purchase!